On September 28 2017, the leading European conference dedicated to B2B and SaaS companies came back to Sydney for the second time. Digital4s’ Fred Orrenius was part of both the jury of the B2B Rocks Startup Competition as well as the Capital Raising Panel Discussion. Audience Republic was featured in a long section on Sky News Business on September 13 2017, To learn more please go to Sky New. Digital4s investee company Lighthouse8 received proof for its success so far. Investors buy into Lighthouse8’s vision & differentiated approach to AI-based digital marketing. ; Funds will accelerate further technology development and international expansion. 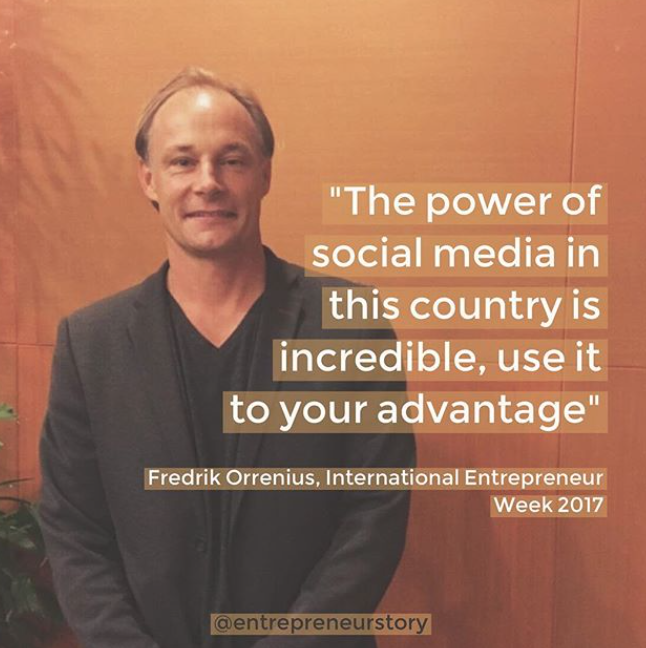 International Entrepreneur Week is a catalyst for partnership, collaboration and growth. The aim is to create synergy from economic partnership between Australia and Indonesia to drive economy and create opportunities. Digital4s Ventures moved into new offices beginning of 2017. Great location in Sydney’s dynamic Central Business District (CBD) at 20 Bonds street, 2000 Sydney, only 5 min from Circular Quay. Stimulating atmosphere together with 10 other start-ups! A more beautiful area to have an office is difficult to find. Welcome up. Sydney, Australia, July 10, 2015. Start-ups and SMES will benefit from the announcement that InvoiceClub, the simple, time-saving and free online and mobile invoicing solution for small businesses, is now available in Australia.